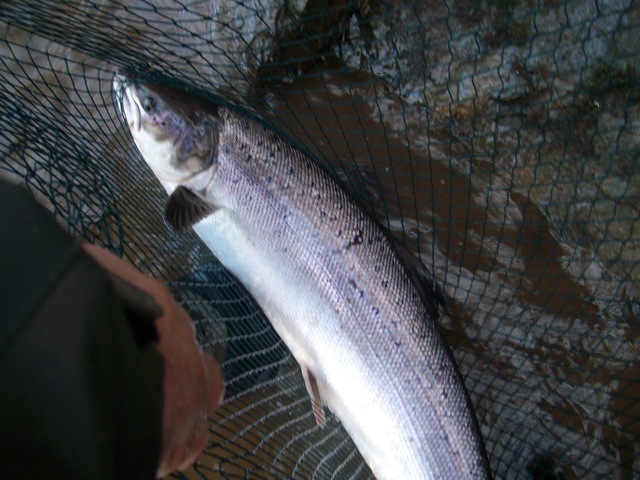 Springer in the longstram below coldstream bridge on a sink1/2 and a black and yellow tube in the afternoon! The hardest fighting salmon I have ever come across! 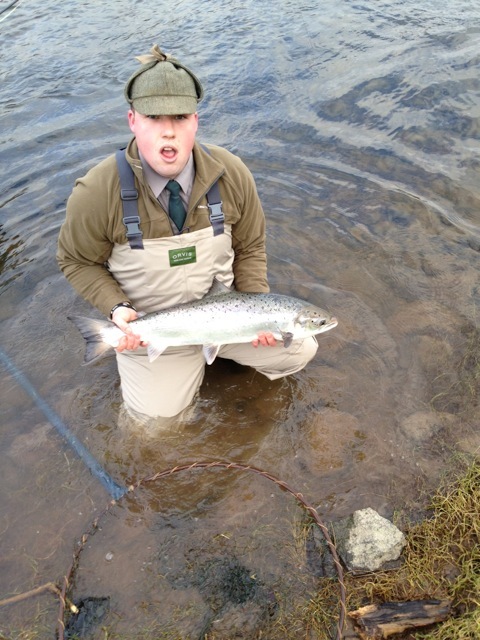 My ghillie estimated that the fish had been in the river well over a week! We also caught 2 baggots and a kelt between us! Great days sport! I have attached some photos with this email! You may use them if you like! The photos are not particularly good as our main priority was return the fish with as little contact as possible! 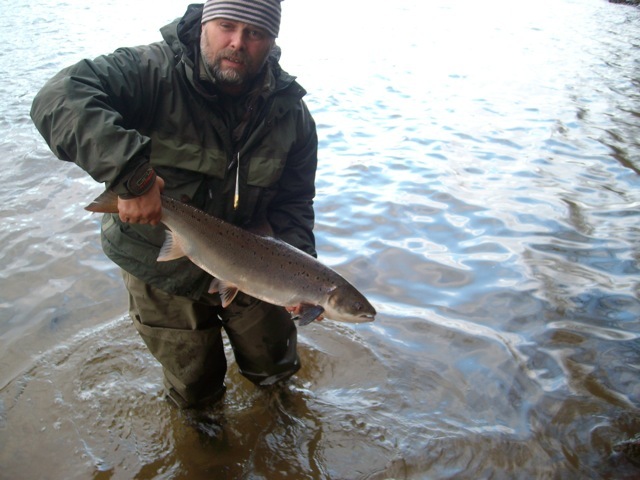 This entry was posted in Uncategorized and tagged openingday, salmon, South Wark, spring fish, Tillmouth, Tweed. Bookmark the permalink.